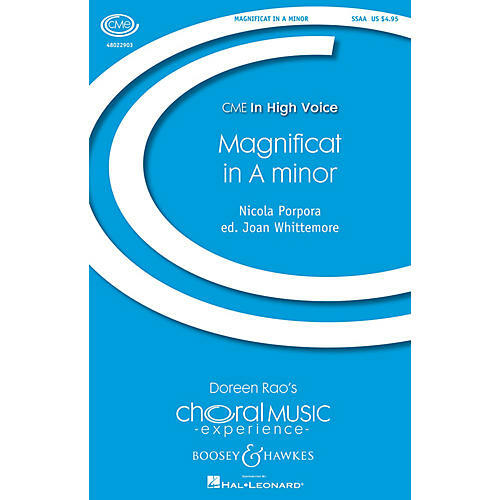 The Magnificat for treble voices with optional strings is by the Baroque composer Nicola Porpora and is written in six contrasting choral movements. Editor Whittemore brings considerable knowledge and research to the project and conductors can be assured of excellent scholarship. Duration: ca. 9 minutes.